It begins with a quote from Arthur Miller: “It doesn’t exist, America. 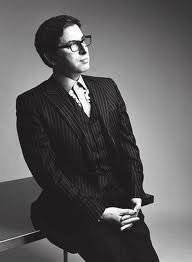 It’s a name you give to an abstract idea.” Antonio Monda, author of the novel L’America Non Esiste [America Does Not Exist] has lived in New York since the early ‘90s and today is a successful writer and professor at New York University. His book describes an America that unites and divides, an imaginary America, one imagined by each of us, written in lively and compelling prose. America does not exist. 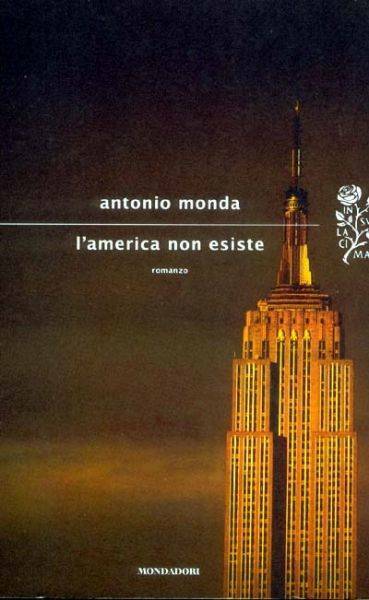 The premise of Antonio Monda’s book is captured in its title, a declaration belied by its cover. America does not exist, yet America is there before our eyes. The book attracts readers with its title and evocative image of the Empire State Building, the symbol of America, and New York in particular, that does, in fact, exist. Moving from the cover to the text, readers are catapulted into a distant America, and not simply because Italy lies across an ocean. It begins long ago, in 1951, in a small town in southern Italy near Naples, where the parents of Nicola and Maria, 23 and 18 respectively, die in a car accident. The two orphans are without any prospects at home and they see immigrating to America as the only solution. Sabatino (known as “Benedizone”) is a distant cousin of their father who lives in New York. He welcomes them and provides them with a modest job managing a building in Brooklyn and a small apartment in which to live. Sabatino suddenly disappears and the two siblings are left alone. They must face a whole new world and embark on an individual and personal discovery of America in an attempt to build a life from scratch far away from what they had experienced up until now. The two live in a diametrically opposed reality of New York during the 1950s. Nicola is an impulsive young man, ambitious, with an inner rage that leads him to see America as a land to conquer, stubbornly, as if to defy his own destiny as an immigrant and succeed in the enterprise of social climbing. He does succeed, as often happens to those who are brave enough to make their way to America, not surprisingly called the “land of opportunity.” Nicola finds success in the world of boxing, becomes a high level manager, and then thanks to his fortunate marriage to Tess, a rich American heiress, he makes the leap into the art world, becomes a successful gallery owner, and finally attains a level of internal integration he fiercely searched for and struggled to find. Unlike Nicola, Maria is calm, quiet, with no ambitions, who lives in her own world, closed unto itself, observing the reality around her with wonder but without getting involved, rarely leaving her small apartment and making due with her economic situation. On the surface Maria appears almost indifferent, however, over the course of the narrative her essence as a Mediterranean woman is revealed—full of passion, determined to maintain her own character and integrity, staunchly resisting pressure of seeking American approval. The siblings are unlike in temperament and lifestyle: she lives closed off in a building that she takes care of in Brooklyn; he crosses the length and breadth of Manhattan in search of success. Even the way they manage their love lives is opposite: Maria lives for an intense and desperate love while Nicola treats people, especially the woman he marries, above all as an opportunity. Both find themselves living in New York during a unique historical and cultural moment, a time when the Big Apple overtakes Paris as the world capital of culture. Monda deftly describes the great awakening of America after the Second World War, a key period in which great things are happening. Literature, music, and film produce imposing figures such as Arthur Miller, J.D. Salinger, Tennessee Williams, Ella Fitzgerald, and Elia Kazan. Abstract Expressionism is revolutionizing the art world, where Jackson Pollock and Mark Rothko are leading the way; the Guggenheim Museum is under construction. In the boxing world Italian-American Rocky Marciano emerges while the lavish parties in New York City that Truman Capote describes bring together new film stars like Marlon Brando, Marilyn Monroe, and Elizabeth Taylor. This is America, the glittering backdrop of Nicola and Maria’s life, although at times the shiny narrative is exposed to the shadow of McCarthyism, which represents the betrayal of America and its original spirit, one of the contradictions inherent in the American Dream. Often we see the streets where Nicola and Maria live intersect with the icons of their time, and sometimes the siblings are unaware who they have met. The reader is lulled by Monda’s prose and observes the America of that time through the eyes of two characters who move about in a world populated by both acquaintances and famous people, wandering among the most lavish parties and the most abandoned and humble places, places that are physically nearby but worlds apart. The reader lives America through the siblings’ emotions. We become sympathetic to their illusions and their dreams, and we understand that the transoceanic voyage is not over once they have arrived New York’s port. The journey continues day after day in their souls; sometimes it seems to have changed them forever, sometimes it seems impossible for it to eradicate their values from their very cores. In addition to Nicola, Maria, and the many characters, at the end of the book the reader is left with the sense that the real protagonist is America—and that it does not exist, as the title implies. It is a quote that Monda takes from the Tropic of Cancer by Henry Miller: “It doesn’t exist, America. It’s a name you give to an abstract idea.” In Monda’s novel, we find the real America of the 1950s, the world stage of art and culture, but we also find an abstract America with each of the characters experiencing it in very different ways. It is an America that unites and divides, an America that is imaginary and imagined by every one of us.